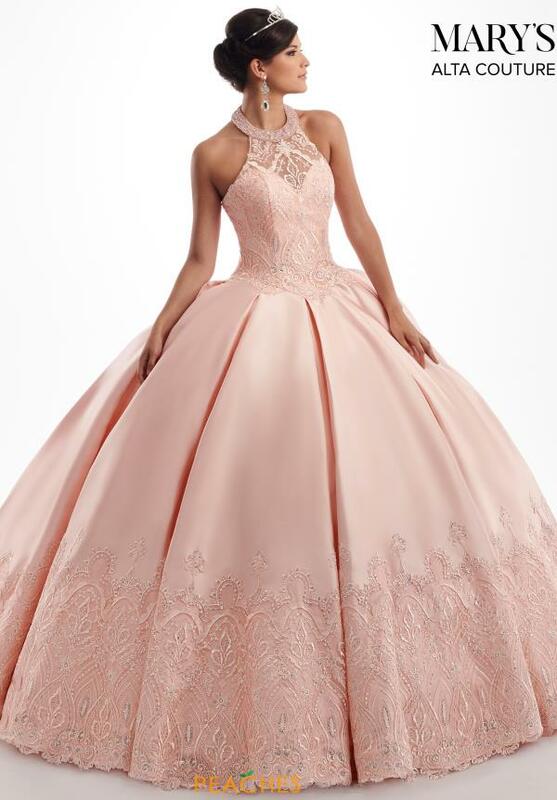 Jaws will drop when you enter your next special event in this lovely quinceañera dress MQ3027 from Mary's. This stunning style has a high halter neckline which is embellished which beautiful bead work. The fitted bodice has delicate embroidery and a lace up back. The corset style top fits snugly, cinching at the waist before billowing out into the voluminous mikado skirt. 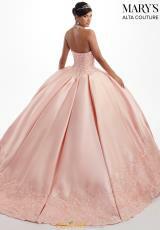 Pleating at the waistline adds extra volume, and the intricate applique trim creates a truly unforgettable gown.